I am wondering if coffee is good for you. I am interested in being healthy and I have heard that drinking coffee is bad for your health. Is that true? Great question, Shannon! Unfortunately, there is not a clear-cut answer. Putting together all of the research I have studied, I would say that for most people, moderate coffee drinking seems to be okay and may even have some health benefits with regard to heart disease, cancer, Type II Diabetes and even mental function. However, more research is needed to truly ascertain if the possible good effects outweigh the potential for harm. Not all coffee is equal. Since not all coffee is handled and processed the same, it is difficult to make any blanket statements about the health effects of coffee. There are also questions such as: Is organic coffee better than non-organic? What about caffeinated versus decaf? Fresh-ground versus pre-ground? Fresh roasted versus pre-roasted? In addition, the way we prepare and serve coffee can be a factor in its healthfulness. Do you drink it black? With cream? Sugar? With one of the numerous artificial coffee creamers on the market? As a caramel fudge mocha latte? What about espresso? Interesting Fact: A study was done comparing the effects on LDL cholesterol (the bad stuff), of filtered coffee versus unfiltered coffee and it was shown that unfiltered coffee raised LDL levels while filtered coffee had no effect. This is because the paper filter mostly removes the culprit chemicals responsible for raising the levels of bad cholesterol. The effect of coffee is affected by your genes. 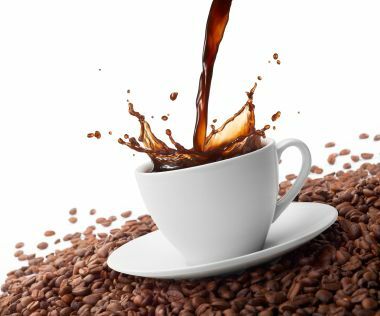 You may not know that there is a hereditary component to how coffee affects you, which can muddy the waters with regard to whether or not you should drink coffee. Recently, I had my DNA tested as part of a project my kids were doing to trace our family history. Just for fun, they also looked at some of the genetic components that might affect my health. It turns out that with my genetics, drinking coffee may help protect me from certain types of breast cancer. However, I have another genetic component that suggests that because of the way I metabolize caffeine, drinking coffee may increase my risk of a non-fatal heart attack. Now you can clearly see the dilemma. On the one hand I should drink coffee to help prevent breast cancer. On the other hand, drinking coffee may lead to cardiovascular issues for me. I know that most people have not had their DNA tested. Even if they have, it is important to note in this discussion that there is more we don’t know about genetics than we know so, stay tuned! irritability, rapid or irregular heartbeat, hand tremors, anxiety, stomach problems, as well as bladder and prostate issues. There have been some reputable studies that suggest that coffee consumption can reduce the risk of some prostate cancers, certain estrogen-receptor-negative breast cancers, some liver cancers, colon cancer, Type II Diabetes, Parkinson’s Disease, Alzheimer’s Disease and other age-related cognitive decline. So, back to your question—Is coffee good for you? Let’s break it down into pros and cons as best we can with current research. Coffee contains antioxidants and other components that may be protective against certain diseases, such as those mentioned above. Coffee provides some recognized nutrients including potassium, magnesium, niacin and Vitamin E which are necessary for good health. Drinking coffee can elevate your mood, increase your alertness and generally improve your overall work performance. The lignans and other phytonutrients in coffee may have a positive effect on blood sugar, an important issue for diabetics and pre-diabetics. Drinking coffee may raise your blood pressure as well as your homocysteine levels. (Increased levels are associated with heart disease.) It is not clear whether drinking coffee increases your risk of heart attack. More study is needed and it may be affected by individual genetics. Drinking coffee may mean less consumption of pure water, which is necessary for healthy body functions and waste removal. High intake of coffee during pregnancy has been associated with low birth weight and other problems with fetal development. Coffee drinking may increase the risk of bone fracture in those with osteoporosis. Drinking coffee may cause changes in sleep patterns, crankiness, anxiety, hand tremors, irregular heartbeat, digestive issues and may irritate the bladder and prostate. For vegetarians who rely on non-heme (plant) sources of iron, coffee can inhibit the absorption of this form of iron when consumed with a meal. Coffee interacts with certain drugs, so talk to your pharmacist if you are taking any medications. Caveat: Some of the studies done on coffee have been funded by the coffee industry who has a vested interest in a positive result. Any researcher will tell you that results of studies can be organized in such a way as to favor a desired outcome. We’d like to think that scientific studies, especially those relating to health issues, do not actually contain falsified information, but where money is involved--and lots of it--who can say? I hope this helps, Shannon. I am sorry that the answer is not more definitive, but perhaps further research in the coming days will help. In the meantime, if you like coffee, it probably doesn't hurt, in moderation, and it may even help! If you don’t like it, choking it down for possible health benefits is probably not necessary either! Thanks for visiting our healthy eating website!